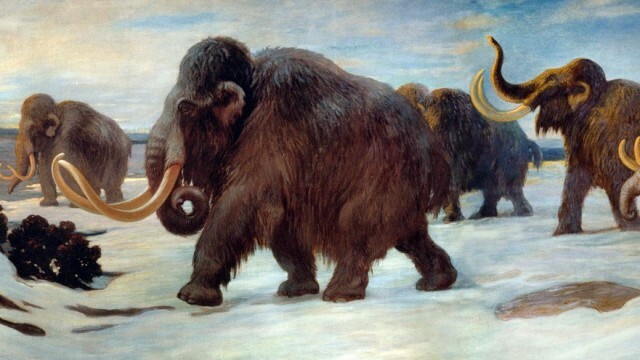 Aside from the days of the dinosaur, few eras capture our imagination like the last ice age. We showed up about 60 million years too late to catch a glimpse of the building-sized Brachiosaurus, but our ancestors were out in full force during the Late Pleistocene, some 10,000 years ago, when the last of the ice age giants vanished from Earth’s continents. Fossils from the La Brea Tar Pits in Los Angeles and other parts of California suggest that saber-tooth cats, giant sloths, mammoths and the rest of their charismatic contemporaries disappeared from the state long before that. It was our first brush with mass extinction. What caused the ice age extinctions has sparked controversy ever since Darwin and his colleagues first recognized them in the 19th century. Then as now, climate change and human hunters seemed the most likely suspects. Decades of contentious debate over the primary causes of this mass extinction long hobbled efforts to understand its consequences, says Jacquelyn Gill, a paleoecologist at the University of Maine's School of Biology & Ecology and the Climate Change Institute. But a new consensus seems to be emerging. It's clear that climate change influences animals' diet and behavior and that extinction rarely results from a single factor, Gill says. "But there’s increasing evidence that while animals might have been stressed by the changes we see at the end of the last ice age, in the absence of humans, it becomes really difficult to explain the extinction." Paleontologists typically study fossils to identify new species and understand how new traits evolved and different species adapted to changing environments. But in a new study, Frietson Galis and her Dutch colleagues Jelle Reumer and Clara ten Broek took what they call an evolutionary developmental approach — looking for signs of birth defects in fossils — based on a surprising discovery in Europe’s North Sea. Before the glaciers retreated, the North Sea was a vast tundra teeming with herds of woolly mammoths and their outsized contemporaries. Trawlers often find their bones among the fish jumping in their nets, and dredging projects routinely pull up ancient remains from the sandy seafloor. So when workers dredging the Rotterdam Harbor off the coast of the Netherlands recovered two woolly mammoth neck bones a few years ago, no one was surprised. But when Galis and her colleagues examined the fossils, which had been donated to Rotterdam’s Natural History Museum, they found something they didn’t expect. Two of the neck bones had a skeletal defect — a joint to hold a rib — that usually accompanies life-threatening deformities. Almost all mammals, from mice to humans and even giraffes, have seven neck bones, or cervical vertebrae, except for manatees and sloths, whose slow-paced lifestyle seems to help them survive skeletal abnormalities. That all mammals have seven, no more or less, suggests that variations on the number or form of these bones compromise fitness, meaning that few survive long enough to reproduce. When neck vertebrae sprout ribs as if they were spinal vertebrae, it’s a sign that something disturbed the intricately coordinated development of the fetus. And when one thing goes wrong, chances are other things do too. Neck ribs themselves don’t typically cause serious problems, but usually arise with other defects that do. When neck ribs occur in humans, 90 percent of the afflicted die before adulthood. Knowing that the neck bones retrieved from the North Sea came from one of the last local mammoth populations, Galis and her colleagues wondered if this defect hastened their demise. To see what stories those variations might tell, Galis and her colleagues looked for the developmental defect in other Late Pleistocene mammoth fossils stored at the Naturalis Biodiversity Center in Lieden, the Netherlands. Then they compared their fossils (just nine were suitable for analysis) to specimens of African elephants and Asian elephants, the mammoth’s closest living relatives. They found that a third of the mammoth neck vertebrae had ribs but just a tiny fraction — 1 out of 29 —of those from the elephants did. The neck ribs could be a sign of inbreeding, much like the Florida panther’s trademark kinked tail. It’s not the tail that worries biologists, but the associated traits, like undescended testicles and susceptibility to parasites, that threaten the big cat’s ability to reproduce. As mammoth populations dwindled, the appearance of these misplaced ribs may have coincided with other genetic defects that made mammoths more vulnerable to stress — shifting climates, overzealous hunters or factors yet to be uncovered. "The preliminary evidence from these vertebrae suggests that these animals were stressed by something in their environment," says Gill. The stress could have come from a change in their diet because of climate change, in their behavior because or hunting or even in who they were reproducing with because of hunting, she explains. Evidence from kill sites shows that early humans were targeting adult males — like trophy hunters do today — rather than the young as carnivores do, compromising females' chances of reproductive success. The study generates some interesting ideas to test, Gill adds, and supports the hypothesis that these animals were very stressed out during the final moments before their extinction. "Whether that’s from environmental stressors or humans or the 'one-two punch' of climate change plus hunting is where we need to look at other data to complement the fossil evidence." Andrew Farke, a dinosaur expert who edited the paper (published in the open access journal PeerJ), allows that the sample size analyzed was small. But he thinks it’s not just coincidence that so many of the fossils had the defect. And though most of the samples were found from dredging rather than rock layers that can be precisely dated, Farke thinks the evidence is compelling enough to inspire others to explore links between fossil anomalies and potential developmental flaws that might contribute to extinction. “It’s really cool to be able to make this connection between something that might be just a curiosity in a museum collection but a little deeper work shows that there might be something going on with it,” he says. He’d also like to see someone examine older fossils to see if the defect disappears further back in time, when the populations were presumably healthier. 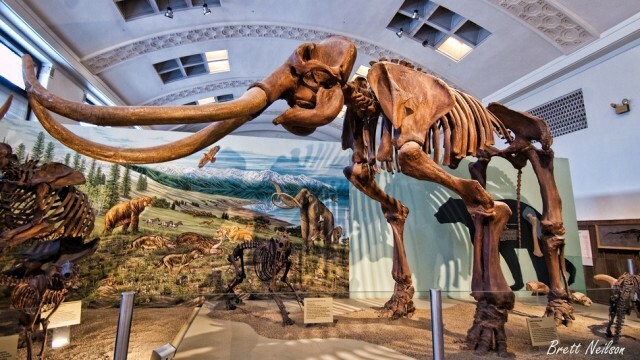 Though scientists may debate the Pleistocene overkill hypothesis for years to come, there’s no doubt that we’re to blame for the catastrophic decline of the mammoth’s living cousins. Poaching of African elephants for the ivory in their tusks remains the number one threat to their survival. An unfathomable 62 percent of African forest elephants were killed between 2002 and 2011, a team of researchers reported last year. If neck ribs did portend the beginning of the end for the mammoth, might the same defect start to appear more frequently in elephants under intense hunting pressure? Elephants are keenly intelligent animals that grieve for fallen kin — a stress that may well affect developing young. Assuming that neck ribs do signal genetic or developmental stress, Farke says, using portable x-rays to screen for the defect could be a good way to gauge the health of not just elephants but any at-risk vertebrate population. He hopes more paleontologists will start to study fossils for the developmental pathologies they reveal — not just to understand what happened to the mythic megafauna we lost long ago, but to save those still in our midst. From time to time, the great beasts send us reminders that they once walked the streets of San Francisco, then savannah grasslands, replete with large-mammal menageries now found only in Africa. Just last September, a crane operator at the Transbay Transit Center construction site unearthed the tooth of a Columbian mammoth, the species common in California. During the Pleistocene, the large-bodied mammals took the biggest hit. Today, we’re losing species across all classes at an unprecedented rate, and no one disputes that the hand of humans — in climate change and hunting — is driving the crisis. The biggest question now is what we're going to do about it.